Helen Leona Wilson, 101, was born November 20, 1917 at home in Basil, Ohio to Samuel Franklin and Vera Scheidegger Snider and died Friday, January 18, 2019. She graduated from Liberty Union High School in 1933 and from The Ohio State University in 1937. She was a high school foreign language teacher for 30 years, most of which were spent at Bloom-Carroll High School. In 1942 Helen and Hubert Wilson were married, and they spent 63 happy years together before his death in 2005. 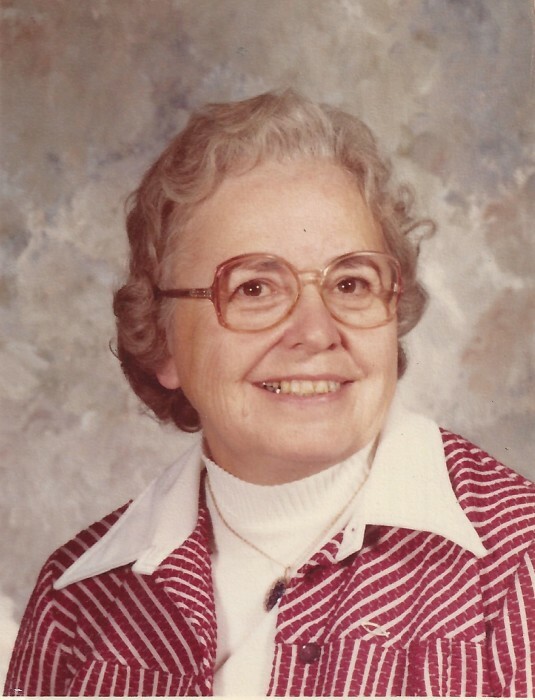 For all of her adult life she was a member of New Zion United Methodist Church, and for many years she was a Sunday School teacher. For 4 years she was president of the Newark District United Methodist Women. Helen is survived by her sons, Robert (Linda) Wilson, Stephen Wilson, and James (Carol) Wilson; grandchildren, Timothy Wilson, Mindee (Jeff) Wheeler, Joshua (Melissa) Wilson, Nathan (Shelley) Wilson, Elizabeth (Jared) Bayless, Sherri Molyneux, and Philip (Wanda) Molyneux; 15 great grandchildren; 4 great great grandchildren; and brother-in-law, Dean Stoltz. Helen was preceded in death by her husband, Hubert; daughter-in-law, Mary Wilson; sister, Ruth Stoltz; brother, Robert (Grace) Snider; and parents, Samuel and Vera Snider. Funeral service will be held at 11:00 am Thursday at New Zion United Methodist Church, 10991 Snyder Church Rd, Baltimore, Ohio 43105. Burial will follow in Union Evangelical Cemetery, Baltimore. Family and friends may visit from 2 to 4 pm and 6 to 8 pm Wednesday at the Johnson-Smith Funeral Home, 207 S Main St, Baltimore, Ohio 43105 and one hour prior to the service at the church.